"While getting into my car in the driveway on May 3rd 2006 I watched a squirrel perched on the side of my house chewing on my gable-vent. I emailed the Bat Guys and described my problem. Matt called me 40 minutes later to explain the service and the wheels were set in motion. When I returned home from work at 4pm that afternoon my vents were squirrel-proofed and there were 3 squirrels in traps on my roof. I wish I could get that type of service everywhere. Thanks, BatGuys." I wanted to create this page to discuss a common misconception in the industry/marketplace. 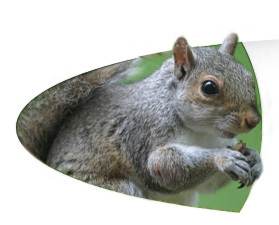 We often get calls from people seeking "bat exterminators" or "squirrel exterminators." This comes from the age-old idea that anyone who deals with any type of pest is an exterminator (be it squirrel exterminators, raccoon exterminators, skunk exterminators or bat exterminators). The correct use of the term "exterminator" would only be in the pest control industry. Exterminators deal with ants, cockroaches, bed bugs and other types of insects. We deal with bats, squirrels, flying squirrels, skunks, raccoons and birds. We do not exterminate these animals. We use humane procedures to remove them and then animal-proof the structure using mechanical techniques to ensure that they do not return. What we do is "Wildlife Removal Services." We're in the Wildlife Removal Industry. Wildlife Removal is completely separate from the Pest Control Industry. Wildlife Removal technicians have a different approach than Pest Control technicians. Below is a good example of the difference between a humane wildlife removal company and exterminators (pest control company). So the correct terminology is "wildlife removal" company. We are not bat exterminators by definition. 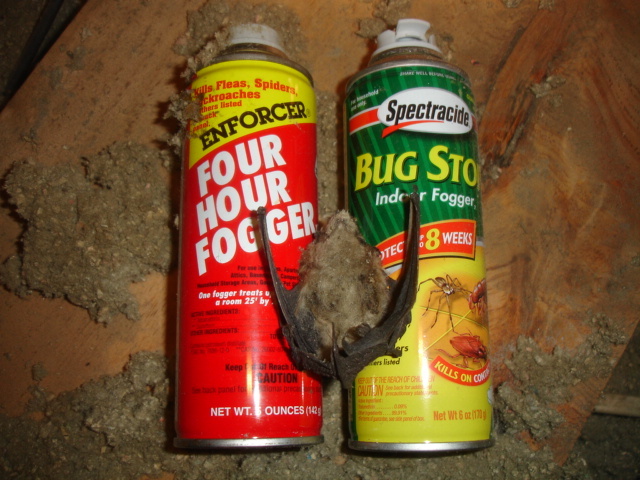 If you care about wildlife and want long-term solutions to wildlife problems you should always hire a company that specializes in wildlife removal services and do not hire a pest control company when you have a bat problem!